Here are some things we think we know about the first organism to ever appear on Earth: Its name was LUCA. It lived on the hot sea floor about 4 billion years ago. And although it eventually gave rise to every person, plant, and virus alive today, scientists now say LUCA itself might only have lived a sort of half-life. They published these controversial findings in Nature Microbiology. LUCA (our Last Universal Common Ancestor) may have been cruder than a single-celled bacterium, but that doesn’t make it uninteresting. Quite the opposite, in fact: This older-than-old organism could teach us volumes about the appearance of life on Earth as we know it. The tricky part of studying an ancient, formless organism is that it could leave no footprints, feathers, or bones behind. Fortunately, LUCA left something better: its genes, moving forward through time. Researchers at Heinrich Heine University (HHU) in Dusseldorf, Germany set out to find LUCA’s genes in its single-celled descendants, bacteria and archaea. They combed the genomes of 1847 bacterial and 134 archaeal species, looking for shared genetic material. Any proteins that appeared in at least two groups of bacteria and two groups of archaea would likely signify a common parent. The team found 355 overlapping protein clusters out of the 286,514 they examined. The shared proteins suggested that LUCA was even more primitive than scientists had previously imagined. 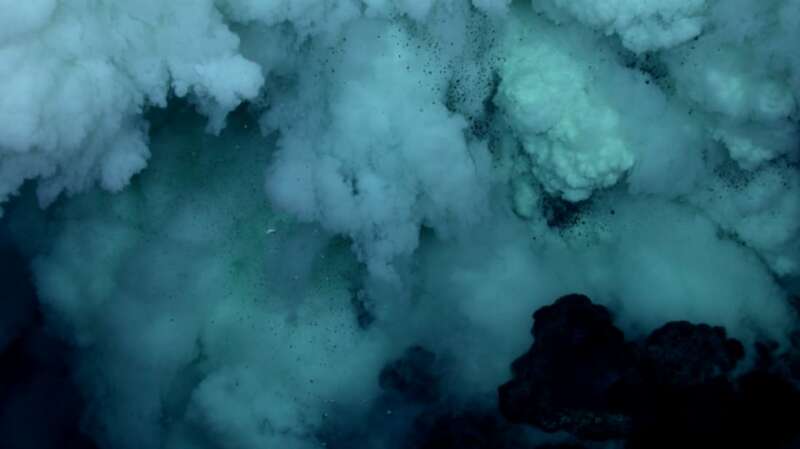 The genetic lines drew a picture of an organism getting by in the dark of a boiling, oxygen-less hydrothermal vent, feeding on hydrogen gas and metals. If you consider LUCA a biological bridge between a lifeless planet and the life forms that came after it, this framework makes sense. But that theory has its detractors. Biochemist Steven Benner, a distinguished fellow at the Foundation for Applied Molecular Evolution, told the Times that if LUCA could synthesize proteins—and the genetic analysis suggests it could have—the organism could likely synthesize other, simpler things as well, even if the HHU team didn’t find them. “It’s like saying you can build a 747 but can’t refine iron,” he said. Sutherland and Benner don’t disagree with the HHU researchers’ conclusion that LUCA was, well, our LUCA, and they’re fine placing it on a hydrothermal vent. But they don’t think LUCA was the first life form, and they say a lot more research is needed before we can really pin down just what that ancient little weirdo was up to.